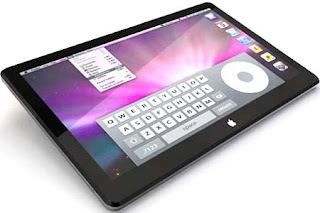 Is Apple Doubling iPad Production? TheStreet is reporting, "Morgan Stanley analyst Katy Huberty believes that Apple has doubled its iPad "builds" to 2 million tablets a month, a figure which could increase again for the holiday season." So the reasoning goes that Apple is projecting to sell a lot of iPads. This begs the question of how many iPads has Apple sold. Apple has not released any current iPad sales numbers, but speculation and estimates abound on the web. Most start with a recent Apple statement, at the September 1 Special Event, that 120 million iOS devices have been sold. One estimate, at InfoSync, is that 5 million iPads had been sold by August 31. Steve Jobs, Apple CEo, stated at the September 31 Special Event that there are 230,000 new iOS (device) activations daily. One estimate, at ComputerWorld, going through this math, arrives at about 6+ million iOS devices are being sold by Apple monthly. No breakout estimate of iPads is provided. Apple is selling an amazing number of iOS devices and iPads are a significant share. So Q3 financial results should be very strong and iPad production is most likely being ramped up. (TheStreet) Talk that Apple is ramping up iPad production would make sense, and could make life more difficult for tablet rivals such as Google and HP.